Event focuses on innovation in real estate marketing and technology. Pittsburgh, PA (January 30, 2018) – President of Real Estate Brokerage Howard W. “Hoby” Hanna, IV, Director of Digital Marketing Jennifer Reider and others from Howard Hanna Real Estate Services will participate in the Leading Real Estate Companies of the World® MarTech event, taking place January 31-February 2 at Wynn Las Vegas. The conference is part of the Leading Real Estate Companies of the World® (LeadingRE) Conference Week, a series of educational and networking events that has attracted an elite audience of nearly 3,000 professionals from 24 countries. The event is open exclusively to marketing and technology professionals affiliated with LeadingRE, a selective global community of the highest quality independent real estate companies. Participants will explore the marketing and technology trends driving consumer expectations and engagement, service delivery and brand development. An impressive lineup of keynote speakers includes two-time World Series Champion, former Chicago Cubs player and first runner-up on ABC’s Dancing with the Stars David Ross; award-winning journalist and noted host of On Second Thought for Georgia Public Broadcasting Celeste Headlee; renowned real estate speaker and author Darryl Davis and LeadingRE Chief Economist Dr. Marci Rossell. LeadingRE’s Dean of Innovation Matthew Ferrara will facilitate the program, with contributions from industry thought leaders, marketing experts and technology specialists. “This year’s MarTech event focuses on engagement and creativity, giving participants the opportunity to explore current trends, as well as what’s on the horizon when it comes to marketing strategies, business technologies, smart home design and more,” said LeadingRE President/CEO Pam O’Connor. Howard Hanna Real Estate Services is the PA, OH, MI, NY, WV and MD representative of LeadingRE (www.LeadingRE.com). With a global membership that spans six continents, LeadingRE connects more than 565 firms and 130,000 sales associates who produce over 1.1 million real estate transactions each year. As a member of LeadingRE, Howard Hanna provides a quality real estate experience, global marketing reach and access to top real estate professionals in virtually any market worldwide. 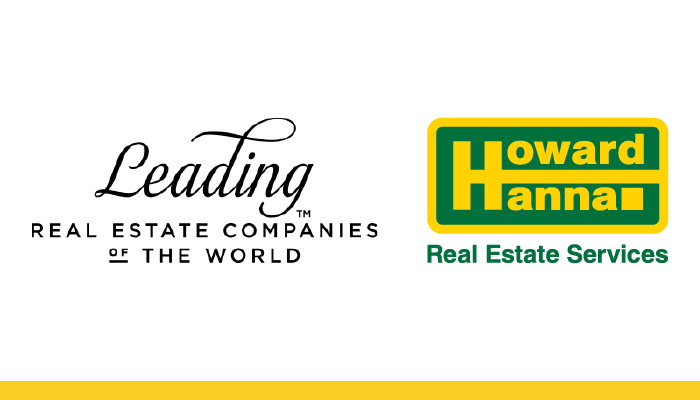 Howard Hanna is the 3rd largest real estate company in America, the #1 privately owned broker in the nation, and the largest home seller in Pennsylvania, Ohio, and New York. The family-owned and operated real estate company specializes in residential and commercial brokerage service, mortgages, closing and title insurance, land development, appraisal services, insurance services, corporate relocation and property management. With 259 offices across OH, NY, PA, VA, MI, WV, NC and MD, our more than 9,000 sales associates and staff are guided by a spirit of integrity in all aspects of the real estate process.